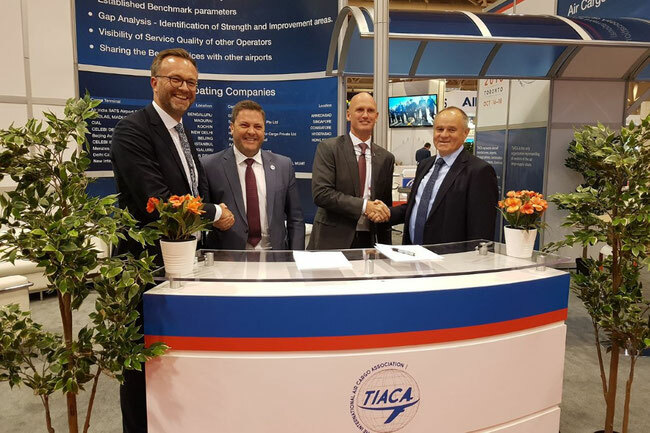 Messe Muenchen just signed a Memorandum of Understanding with TIACA/ACF aimed at forming a strategic alliance. The announcement came only days after the world’s leading organizer of transport trade shows had taken over Air Cargo India and Air Cargo Africa from former Indian owner STAT Times. 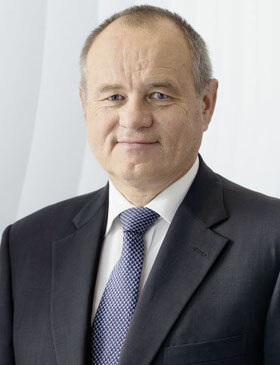 We spoke with Gerhard Gerritzen, Member of the Management Board of Messe Muenchen GmbH about the acquisitions and their consequences. Mr Gerritzen, what exactly has motivated Messe Muenchen to enter into a partnership with TIACA, an organization that’s financially struggling for quite some time? We have partnered with a strong brand and a strong network. Together, we will design the ACF in a way that it offers our customers an attractive long-term perspective to exhibit in the Americas. The intended cooperation agreement is still the subject of negotiations between both sides. Which are the big points that still require clarification and what are the benefits for the global cargo community should the strategic partnership agreement finally be sealed? The framework conditions have been clarified, but we still need to clarify a few organizational issues. We also have a bit of homework to do in this context, because we have to build up an organization for the American market in a very short time. We have to put the new ACF on a solid foundation, and we owe that to TIACA and its members, exhibitors and visitors. From our point of view, there are two big advantages for customers: On the one hand, there is a high degree of planning certainty as to which important events take place when and where, and on the other hand, synergies can be leveraged in global coverage for all those involved. Only days before proclaiming the TIACA/ACF MoU in Toronto, Messe Muenchen acquired Air Cargo India and Air Cargo Africa from the Indian publishing house STAT Media. Is this just a change of ownership or will this influence the conferences’ contents and programs by setting new priorities? Both events have become excellently established in the market. Therefore, they should also keep their independent look and charm. These are trade fairs for the respective markets. Customers can continue to expect what they are accustomed to. But of course, we also want to include the events in our transport logistic exhibitions cluster. We would like to contribute our expertise in the multimodal field. What role within your concept for the Indian and African cargo shows will Priyo Patra of the STAT Times play, the former owner of both exhibitions? And is there an equity interest by Patra in Messe Munich or the aforementioned two fairs? Messe Muenchen is a public company with two owners: the city of Munich and the Free State of Bavaria. Priyo Patra and we have the same ideas as to what trade fairs for the air cargo industry should look like in the future. That's why we want to combine our expertise. I can confirm that he will not become a stakeholder in Messe Muenchen. The next Air Cargo Africa will take place in Johannesburg from February 19 to 21. Exhibitors and attendees might be interested in whether Messe Muenchen intends to set new priorities. The next fair will take place in three months, and the prospects are excellent. We are not changing anything, but instead taking advantage of the excellent starting position to unite our subsidiary in South Africa, Priyo Patra, our headquarters in Munich and all those involved in a large team. The acquisition of Air Cargo India and Air Cargo Africa complemented by the MoU signed with TIACA / ACF shows that air freight matters have become a top priority within your trade fair strategy. Because of the growth perspectives of the cargo business or what other reasons for? Messe Muenchen has a very wide-ranged portfolio and is strongly represented in many sectors, in particular with trade fairs in the capital goods sector. For us, the Air Cargo area provides the opportunity to expand our transport logistic cluster further. We are happy for the exhibitors that Air Cargo Europe is developing so well within transport logistic in Munich. For us, the air cargo industry is an exciting industry with a lot of potential and, above all, congenial and reliable people. That also means that we personally enjoy the work. Which trade fair will exhibition giant Messe Muenchen take over next? We have completed some acquisitions in the past and will continue to do so in the future. However, there are currently no takeover candidates in the logistics and air cargo sectors. Thank you for this useful input.